Senate in push for state nuke dump vote, The Advertiser, Peter Jean , Political Reporter 7 Feb 18 All South Australians would vote on whether a radioactive waste dump should be built in the state, under options to be considered by a federal parliamentary committee. 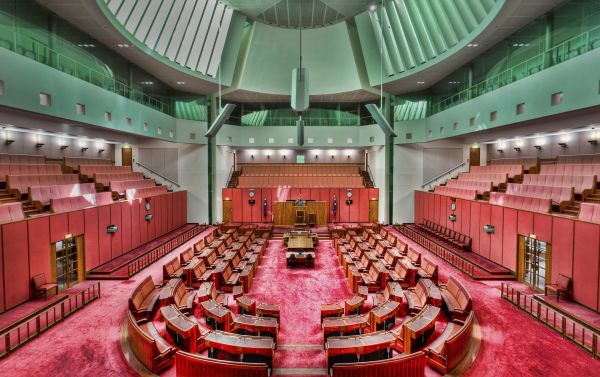 The Senate yesterday voted to establish a committee inquiry into the process being used to assess whether the national centre for low level radioactive waste should be built at Hawker or at one of two sites outside Kimba. A majority of Kimba district residents last year voted in favour of the project. Nick Xenophon Team Senator Rex Patrick successfully moved for an inquiry into the appropriateness and thoroughness of the site selection process. The Terms of Reference for the inquiry include consideration of whether the views of the entire Eyre Peninsula or SA communities on the waste dump should be considered. The inquiry was backed by Labor, The Greens, and cross-bench senators including Derryn Hinch. Assistant Minister to the Prime Minister James McGrath, said the inquiry was unnecessary because information on the assessment process was freely available. “The Government’s focus is on local communities and the, traditional owners, but also includes the broader community.” Senator McGrath said. Federal Cabinet is expected to make a decision this year, on where to site the dump. Senator Patrick said he was not necessarily opposed to a waste dump, but local communities should be given a say. Parliament is also considering a treaty that would allow high-level Australian nuclear waste to be reprocessed in France.